In a previous post, I had mentioned primitive types cannot be injected into classes via Sitecore’s Configuration Factory, and further learned through exploring and experimentation that this applies to all value types in C#. However, after some digging in Sitecore.Configuration.Factory — this lives in Sitecore.Kernel.dll — I discovered the CreateFromFactoryMethod() method which calls a static method — this method is defined in an XML attribute named “factoryMethod” — on a class defined in the “type” attribute on the XML configuration element being processed, and felt I could take advantage of this hidden gem for injecting value types into my configuration-defined classes. Each method in the class above calls its specific value type’s TryParse() method to convert the passed string to the value type. We ensure the argument was in the correct format: an assertion is done to check if the argument was of the type the method was expecting. The class above creates an instance of the ValueTypesConverter class via the Sitecore.Configuration.Factory.CreateObject() method. I felt defining the class that implements the IValueTypesConverter interface in Sitecore configuration would allow for customization if one would ever need to do so. Further, all methods in the class above just delegate calls to the ValueTypesConverter instance. The class above defines properties that will be populated magically by Sitecore’s Configuration Factory, and builds a string of HTML to be rendered on the front-end. If you have any thoughts on this, or ideas around implementing this in a different way, please share in a comment. By Mike Reynolds in Best Practice, Configuration, Configuration Factory, Customization, Dependency Injection, Sitecore on 07/09/2014 . 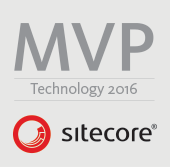 Check ‘Sitecore.Pipelines.HttpRequest.StopMeasurements, Sitecore.Kernel’ in the web.config file. It passes the primitive values normally. I don’t get why to write more code when it is already working with existing Sitecore architecture. Kindly correct me if wrong or this is handling any corner case. Nice find, and I stand corrected! I do know that char will not work with the existing framework — I had tried this, and the Configuration Factory did not set it. ok I tried with following example and it works with char property type also. Secondly you could use ‘TypeConverterAttribute’ class. Apparently, I must have done something wrong when testing with char.